Sofia I was hustling about Sofia in my first full day. We started with a briefing from CEGA, Creating Effective Grassroots Alternatives, where my associate, Liuba Batembergska, and Emil Metodiev, who was directing the professional fellows program for Bulgaria, was also a key staff member. The organization has been around a while and works closely with communities around the country, especially Roma and other marginalized groups, on education and other community issues to support their gaining voice and change. They have vast experience and credibility for their work, though it was somewhat disheartening to hear the twists and turns they have to manage to receive funding from the European Union and other sources. Emil took us to a lower income area, largely populated by Roma, where donors had built a 4-story community center recently. We met with a young woman who had been an alumna of the fellows program who was working with refugees, particularly adolescents and teens. She was dynamic, articulate, and committed, but the center was quiet during our midday visit so it was hard to tell if this was a building answering a need, or a building seeking a purpose. 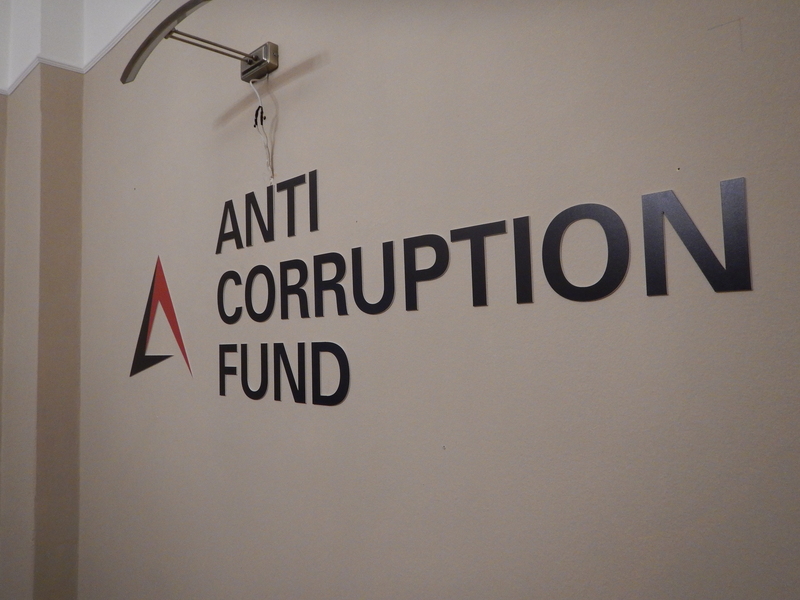 Most interesting was a meeting Liuba and I had with the leadership of the Anti Corruption Fund in the afternoon. The organization was relatively new, having only formally announced its program in July 2017, but it was well funded with a commitment of $500,000 for two years giving it both capacity and a head-turning profile within both the country and among other nonprofits. Miroslava Petrova, the CEO, gave us a spirited and detailed description of their protocols for investigating charges of corruption that were based on anonymous and other whistle-blowing information that they receive. Because of the nature of the sources they have to do rigorous review in order to maintain credibility, using four lawyers, and careful consideration before publication on their website. They have received 60 such complaints and have succeeded in vetting a dozen of them to date. More interesting to me than their complaint-driven system was the fact that they had done a larger scale analysis of the country’s procurement system. Thanks to a well regarded open records law in Bulgaria they have come up with some shocking information that seems to indict whatever “even playing field” bidders for contracts might have assumed. They haven’t yet released their full report, but it’s fair to say that a very, very small number of companies, less than two dozen, get the lion’s share of all public contracts, and, not surprisingly, when they looked at the money value of the contracts the concentration was also extensive. We mainly spent time talking about how to structure campaigns, sharing experience from ACORN’s work, and how to build a base of support from all segments of the populations using direct communication rather than just social media and the internet. There was no question they had mountains to climb in dealing with these difficult problems of corruption, which are seen as both everyday parts of life in Bulgaria as well as systemic problems. This entry was posted in ACORN and tagged Bulgaria, corruption, Sofia by Wade. Bookmark the permalink.